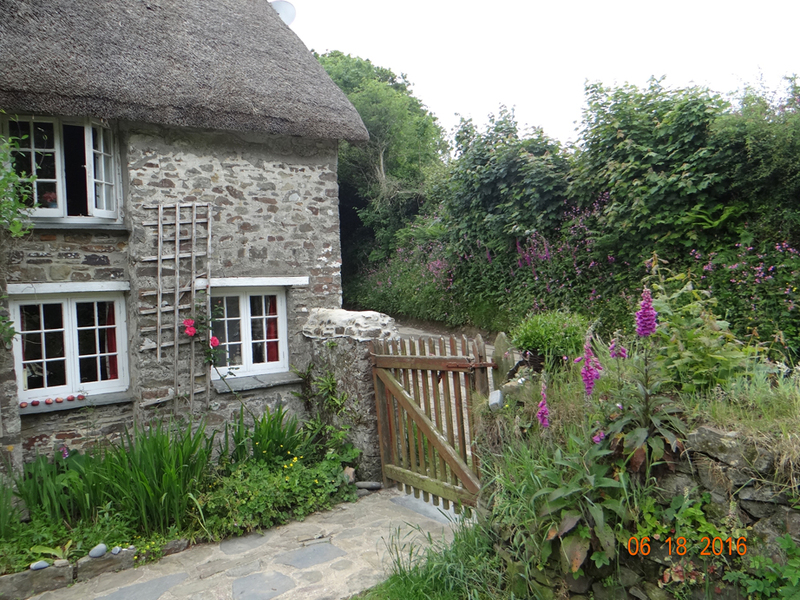 At the front of the cottage a path leads through the garden approximately 80 meters to a spacious parking area. The property behind the cottage extends to include a patio, from which stone steps lead up to a lawn with a bench that overlooks the stream and the meadow beyond. You can park close to this gate for unloading luggage. A path crosses the front lawn and follows the course of the stream through an arbor with a pond and apple trees to the spacious car parking area. The distance from the cottage door to the parking area is approximately 80 meters. To the rear of the cottage, the property extends for approximately 15 meters and includes a patio with picnic table and BBQ. From here stone steps lead up to a small lawn with a bench that overlooks the stream and meadow beyond. 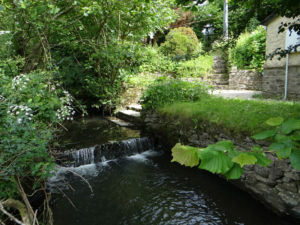 The stream beside this medieval cottage flows for two miles to the majestic waterfall at the head of the famous Spekes Valley where it cascades down a shear rock face 60ft, through a series of four smaller falls before finally reaching the sea. Nature and privacy will be your chief allies here. 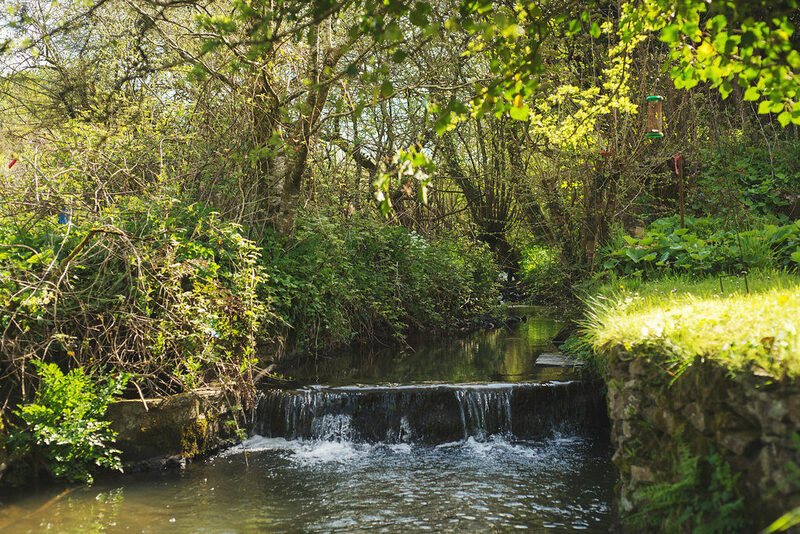 Bordered on one side by a stream and on the other by a lane, the cottage garden meanders between the two and is inhabited by a variety of wild birds, and beautified – particularly in spring and summer – by many flowers and shrubs. 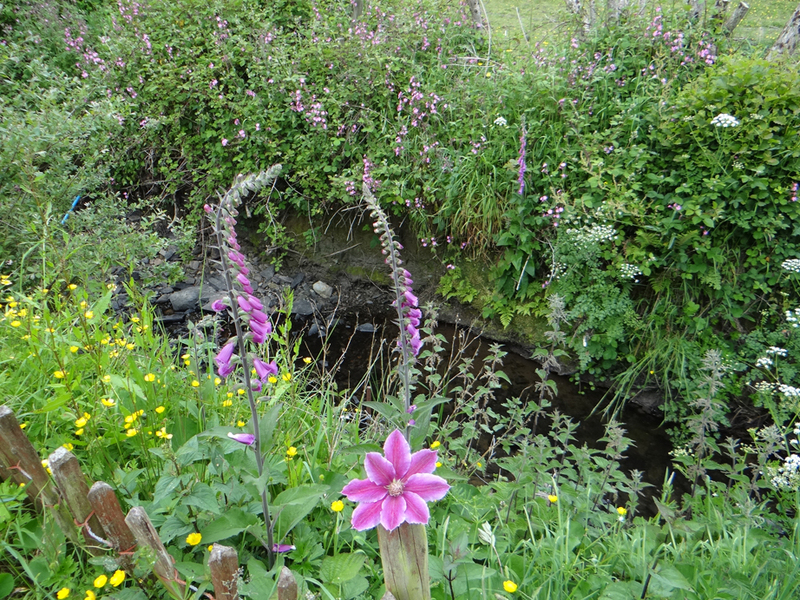 The high hedgerows along the nearby lanes are full of foxgloves, honeysuckle and blackberries. The garden path follows the stream through the property to the car parking area. 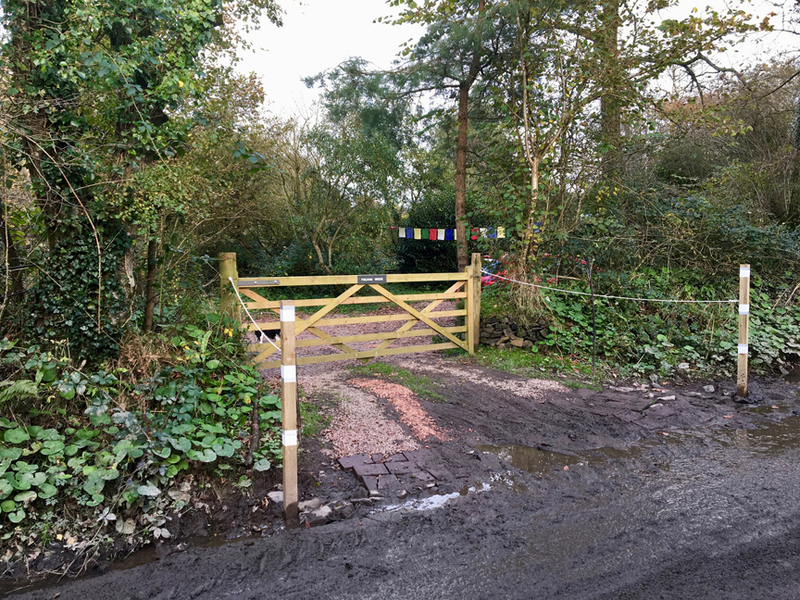 A “Philham Water” sign marks the gate into our off-road parking area. First view of the cottage, walking from the car park. 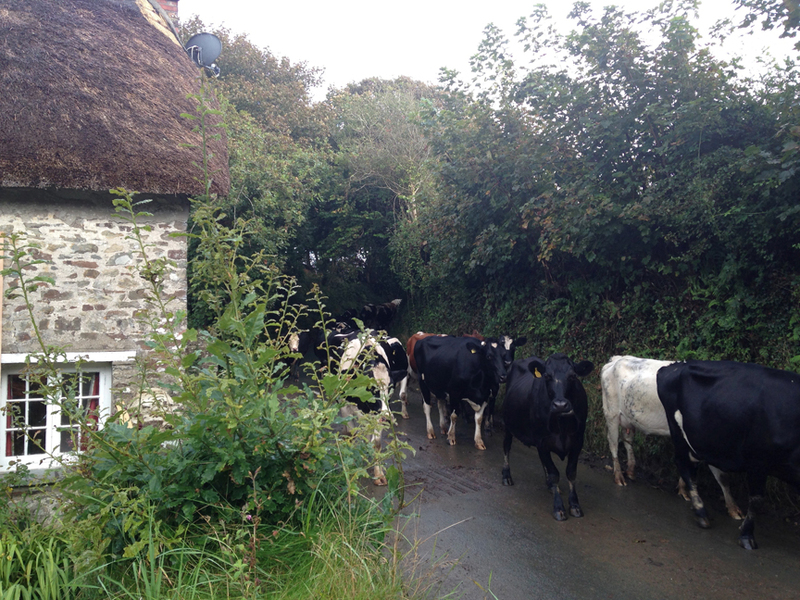 This is an active dairy farming community, and sometimes the lanes around the cottage are used by the farmers for herding cattle. 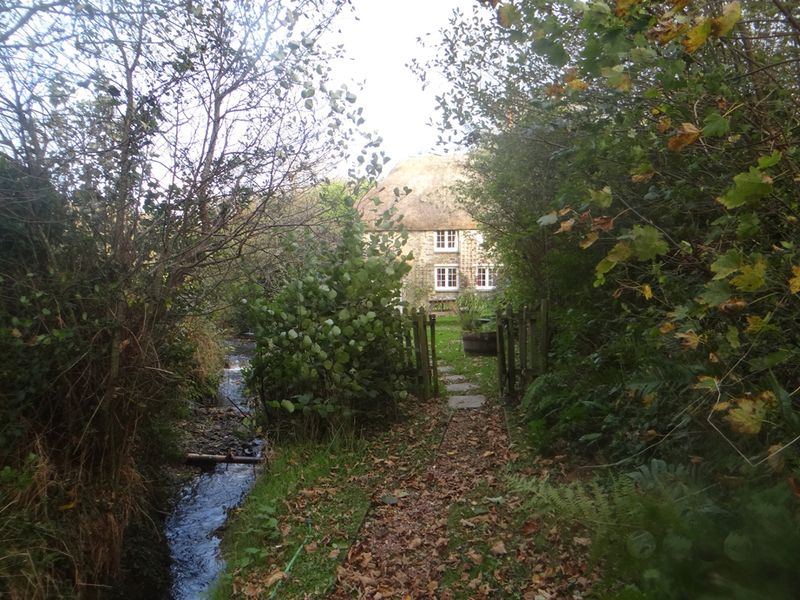 The stream beside this medieval cottage flows for two miles to the majestic waterfall at the head of the famous Spekes Valley where it cascades down a shear rock face 60ft, through a series of four smaller falls before finally reaching the sea. 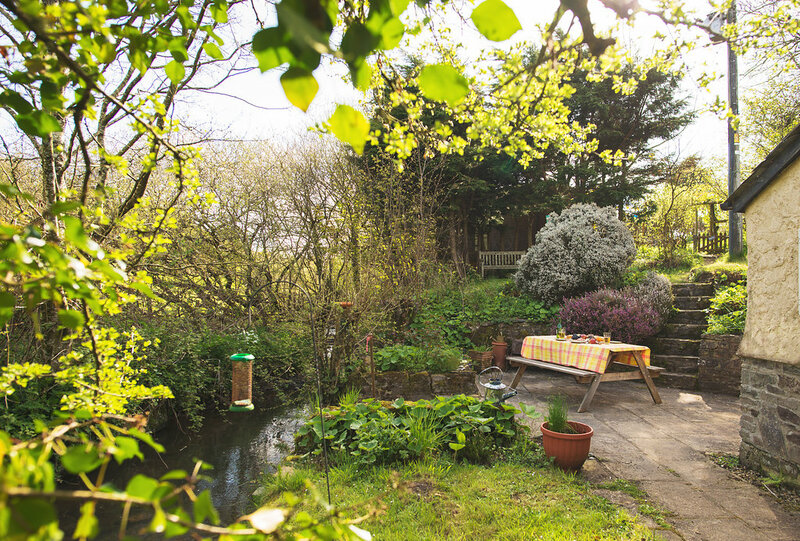 There are beautiful views, countryside and walks from the doorstep with an abundance of birds and wildlife to be seen. 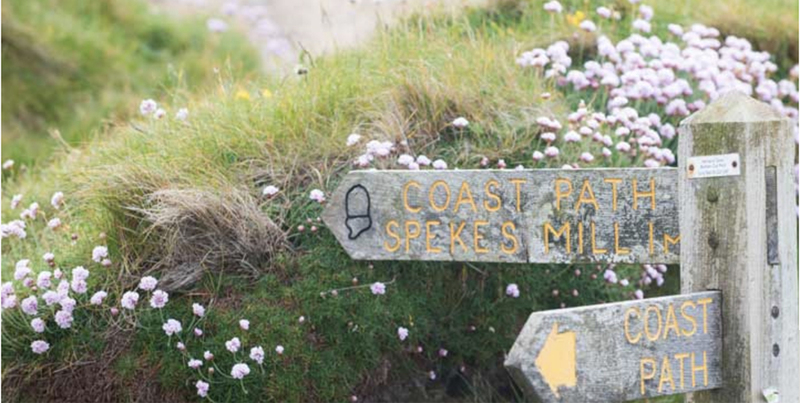 The South West Coast path; popular with hikers. 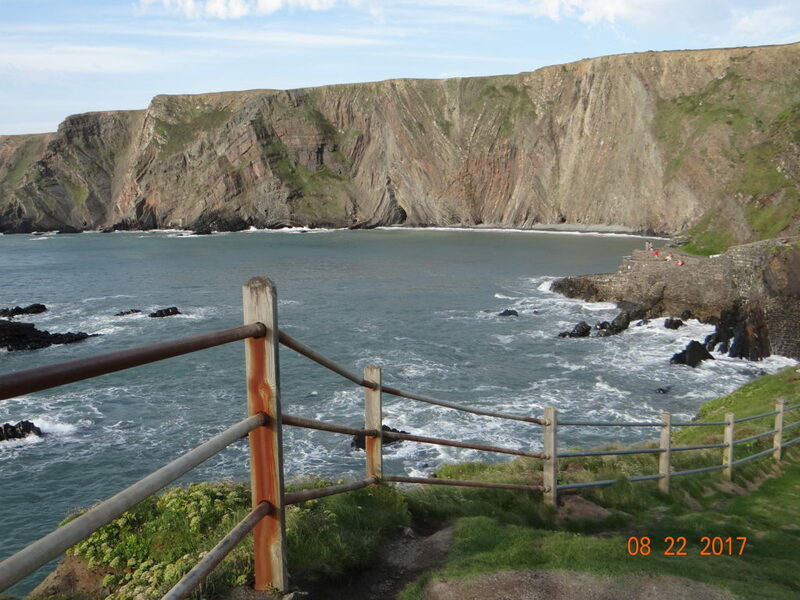 Within a few miles of the cottage are Hartland Quay, Hartland Point, and Clovelly. 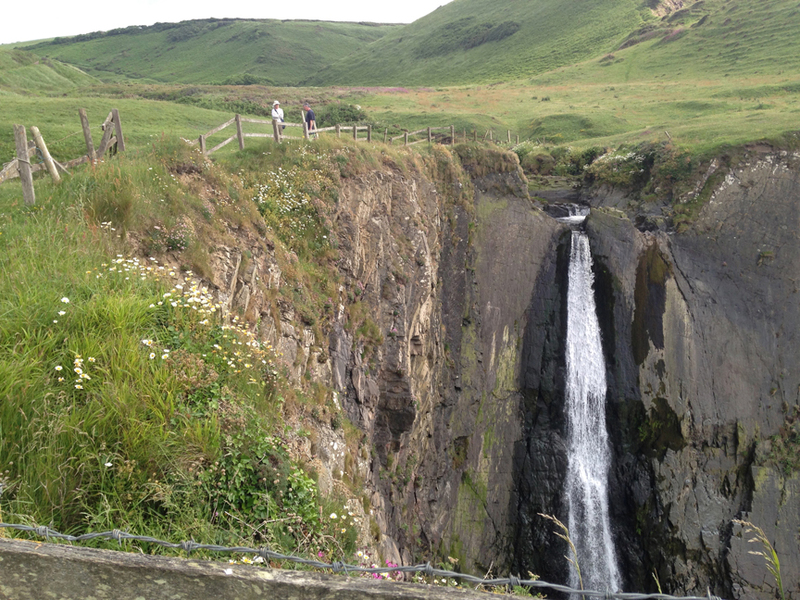 The Hartland Peninsula on the North Devon coast has been designated an Area of Outstanding Natural Beauty with many dog friendly, long sandy beaches and hidden coves to explore, where occasionally dolphins can be seen frolicking in the Atlantic surf. This is an ideal location for touring, walking, beaches or just relaxing. 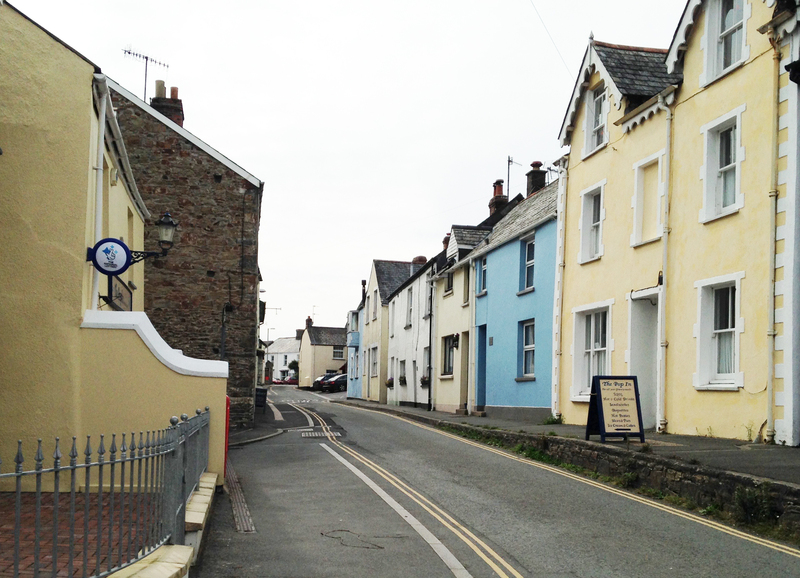 The timeless village of Hartland, less than two miles away, has a good selection of village shops and pubs serving food along with a post office, general store, bakery and craft shops. 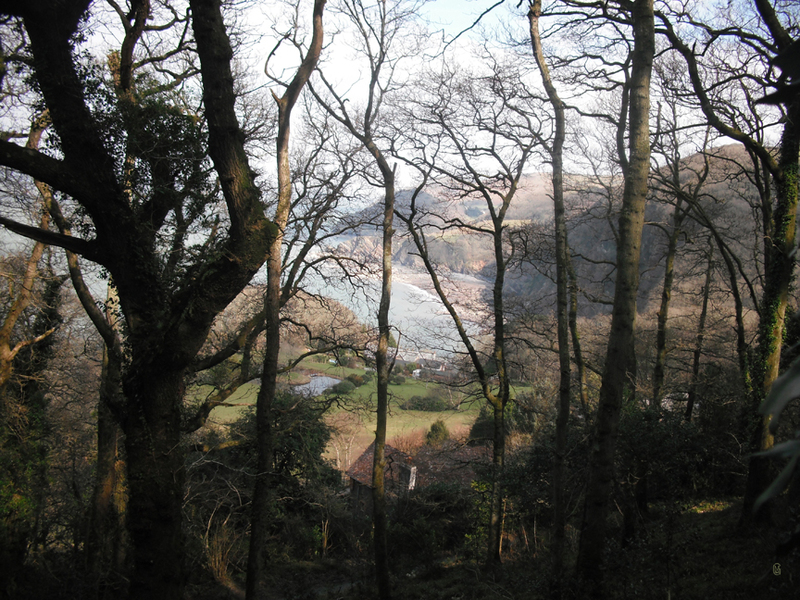 The hamlet of Stoke and the church of St. Nectan, known as the ’Cathedral of North Devon’, is also nearby and the view from the church tower shows Hartland Abbey set in this beautiful valley with its many enchanting and delightful walks. 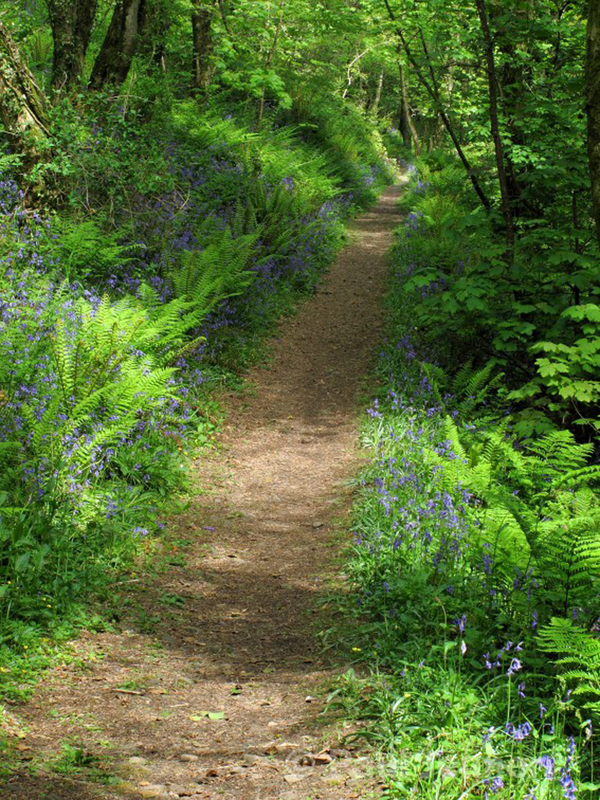 It’s a bit of a hidden secret, but you can do worse than take a walk during spring through the bluebells at Hartland Vale. It’s quiet; there is a stream, so great for dog walking. 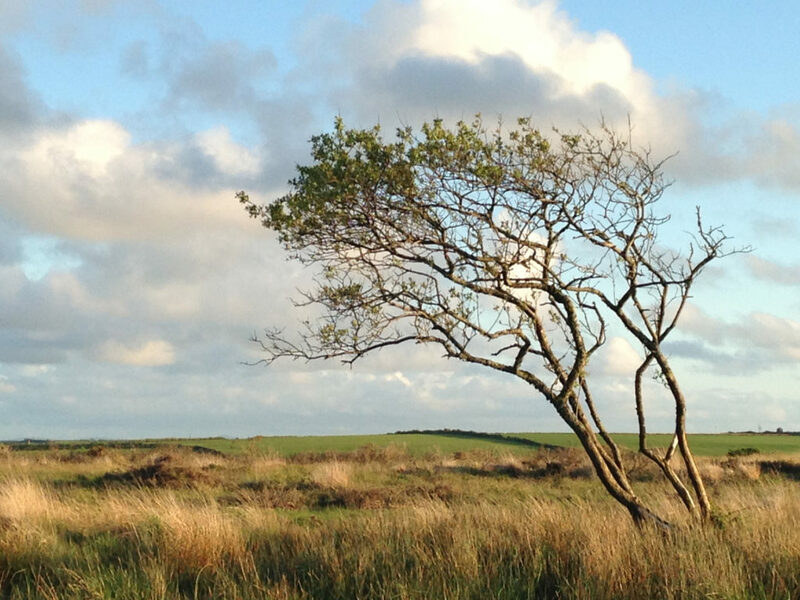 Driving out of our valley towards the A39 and Cornwall, you will cross Bursdon Moor, where a small parking area offers fabulous views at sunset, as well as good mobile phone reception, if you cannot get it down in the valley. Heading south, the cottage is 25 minutes in a car from Bude; a lovely Cornish seaside town complete with surf schools, spectacular beaches, a sea pool, indoor ’splash’ pool, bowling alley, golf course, supermarkets and some great shops and places to eat – many specialising in locally caught seafood. 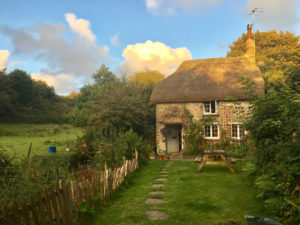 The cottage is near the border between Devon and Cornwall, with the ruins of mythic Tintagel – supposed birthplace of King Arthur – only 40 minutes to the south. 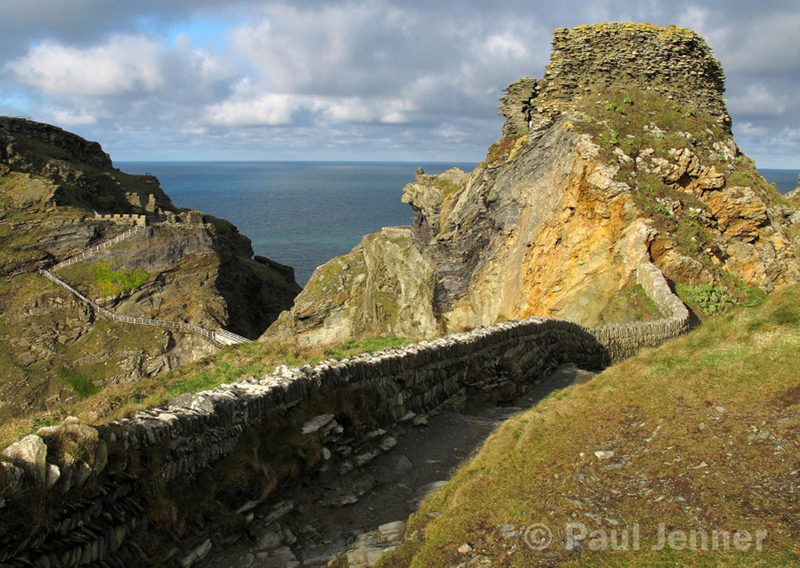 In 40 minutes you can also reach Boscastle , Appledore & Instow, and RHS Rosemoor. Heading north for 15 miles, the delightful port town of Bideford has boat trips to Lundy Island. 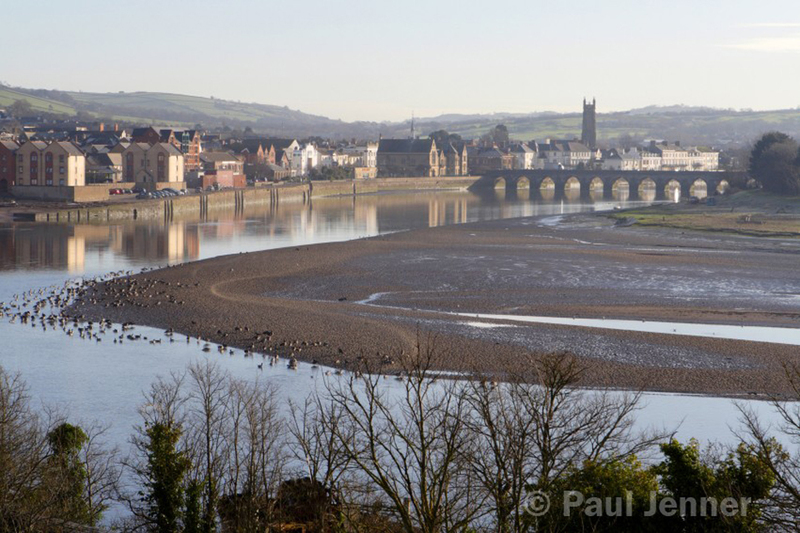 Both Bideford and Barnstaple have a good selection of town amenities, restaurants, and markets. 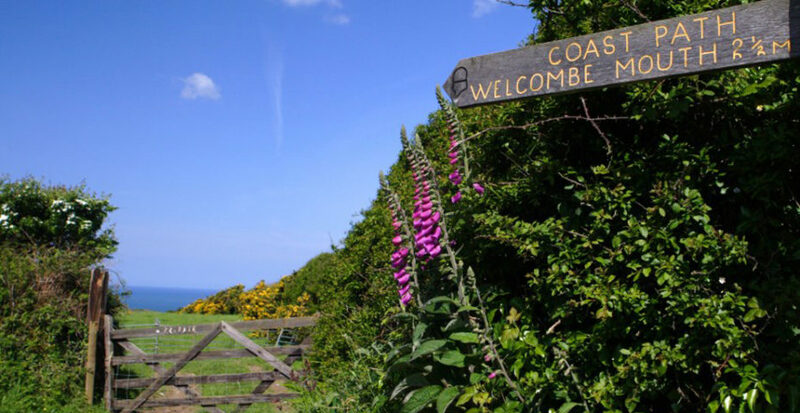 Coastal walking, cycling, golf, horse riding, fishing, surfing and sailing are all available in this stunning part of North Devon.